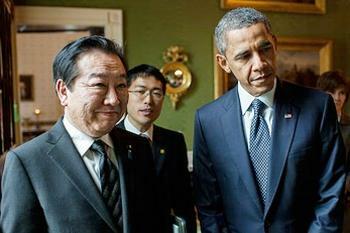 WASHINGTON, DC, April 30, 2012 (ENS) – President Barack Obama today welcomed to the White House Prime Minister Noda of Japan. The two leaders announced a high-level Bilateral Commission on Civil Nuclear Cooperation and agreed to promote the building of green communities in the Tohoku region devastated by the earthquake and tsunami on March 11, 2011 and nuclear crisis that followed. 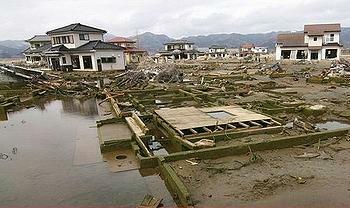 U.S. Armed Forces Operation Tomodachi disaster relief effort took place from March 12 to May 4, 2011, involved 24,000 U.S servicemembers, 189 aircraft, 24 naval ships, and cost $90 million. Building on the close U.S.-Japan cooperation following the nuclear crisis touched off by the earthquake and tsunami and still ongoing, Japan and the United States will establish a high-level Bilateral Commission on Civil Nuclear Cooperation. The Commission is intended to foster strategic dialogue and joint activities related to the safe and secure implementation of civil nuclear energy and decommissioning and decontamination of the Fukushima Daiichi nuclear power plant on Japan’s northeast Pacific coast. 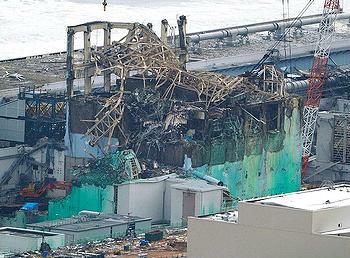 Operated by Tokyo Electric Power Co., the plant suffered meltdowns of the nuclear fuel in three reactors after the earthquake and tsunami shut down power to the plant, disabling the cooling water systems for the nuclear fuel. The Bilateral Commission will address nuclear energy, safety, and security, environmental management, and nonproliferation. “The establishment of the Commission builds upon our March 2012 agreement on cooperation in the field of nuclear energy R&D, and also supports the commitments made by both countries at the 2012 Nuclear Security Summit,” the two leaders said today. They pledged to work for the success of the Fukushima Ministerial Conference on Nuclear Safety to be co-sponsored by Japan and the International Atomic Energy Agency in December. The leaders launched several new clean energy initiatives, to be administered under the U.S.-Japan Clean Energy Policy Dialogue. Under the new Tohoku Green Communities Alliance, the United States and Japan will develop and deploy clean energy technologies to promote the building of green communities in the Tohoku region, the two leaders said. Japan’s land and infrastructure ministry asked more than 200 communities in the three most devastated prefectures, Iwate, Miyagi, and Fukushima, how they plan to rebuild residential districts wiped out by the giant wave. While 70 percent say they wish to rebuild on safer ground, while 18 percent say they will strengthen and build levees, then rebuild homes in their previous locations. Twelve percent say they hope to raise the ground level and heighten levees and move residential districts there. The two countries today pledged to expand cooperation on clean energy innovation, through information sharing and joint research and development at U.S. national laboratories, Japanese research institutes, and universities in both countries. In addition, the United States and Japan are to expand joint projects in renewable energy, energy efficiency, smart grid technology, and people-to-people exchanges, under the existing cooperation between the State of Hawaii and Okinawa Prefecture. The two leaders agreed to begin new collaboration on the production, use and recycling of rare earth elements, critical to the manufacture of electronics, hybrid electric cars, wind turbines and computer display screens. China now produces 95 percent of the world’s rare earth supply, and has tightened the supply chain. New demand has strained supply, and there is growing concern that the world may soon face a shortage of the rare earths. Advances in recycling technology have made extraction of rare earths from used electronics possible, and recycling plants are now operating in Japan, where there is an estimated 300,000 tons of rare earths stored in obsolete electrics. Japan and the United States plan to hold the 4th Clean Energy Policy Dialogue in Fukushima Prefecture later this year to formulate action plans that will advance these areas of cooperation.